Well, this week's eShop releases seems to be led by 1999's Wario Land 2 and escapeVektor for the 3DS. Take a peak after the jump to see what else Nintendo released this week! Nintendo eShop on Nintendo 3DS™Wario Land 2™ – In Wario Land 2, Wario must steal his treasure back from the devious Captain Syrup and the Black Sugar Gang. Scavenge for coins and treasures through multiple levels surrounding Wario's castle. Multiple paths, bonus games and creative game play await Wario as he goes on a challenging quest to find his stolen treasure. 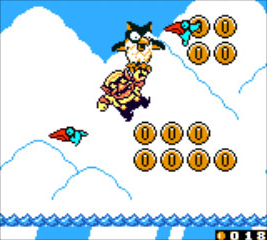 Wario Land 2 was originally released for Game Boy™ Color in 1999 and is now available as a Virtual Console title for the Nintendo eShop on Nintendo 3DS. Nintendo Video™ on Nintendo 3DSDinosaur Office: New Year's Party – Dinosaur Office wraps up 2012 with a special Triassic period New Year's party. Don't miss a sneak preview on Nintendo Video starting Dec. 23, and the full episode beginning Christmas Day. New Downloadable Coin Rush Course PacksNew Super Mario Bros.™ 2 – Feel the rush with two new downloadable Coin Rush course packs. The "Mystery Adventures Pack" and "Impossible Pack" are now available for purchase from the New Super Mario Bros. 2 in-game shop.